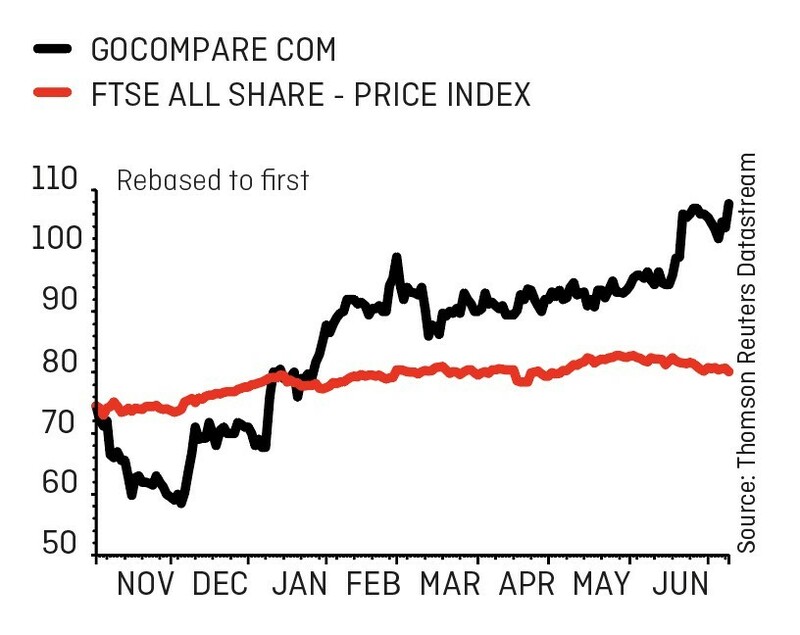 Comparison site Gocompare.com (GOCO) is enjoying a strong start to life as a public company after being spun out of insurance firm Esure (ESUR) in November 2016. An 11 July 2017 trading update signals a robust first half, with stronger-than-expected margin performance driving earnings upgrades and pushing the shares to a new high of 110p. 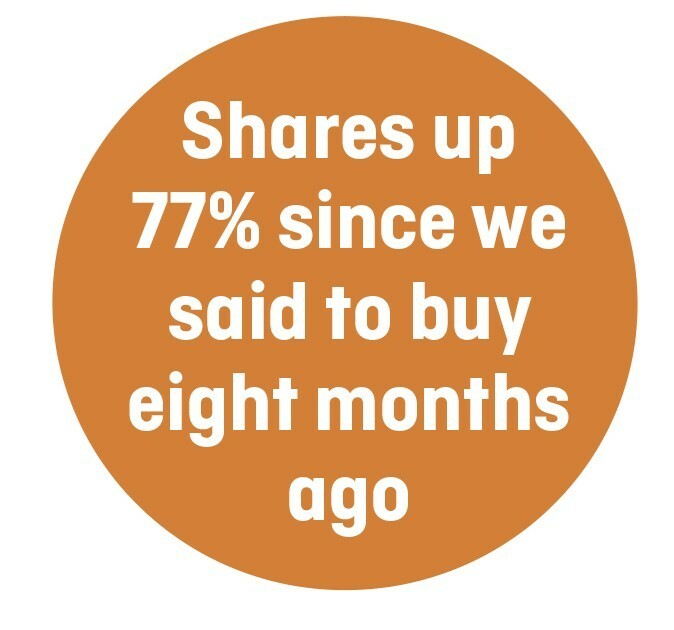 We highlighted an opportunity to buy the shares in our Great Ideas section shortly after its demerger when they slipped from an initial price of 76p to 62p (24 Nov 2016). We noted at the time the company traded at a very substantial discount to its peer Moneysupermarket.com (MONY) but that is no longer the case. 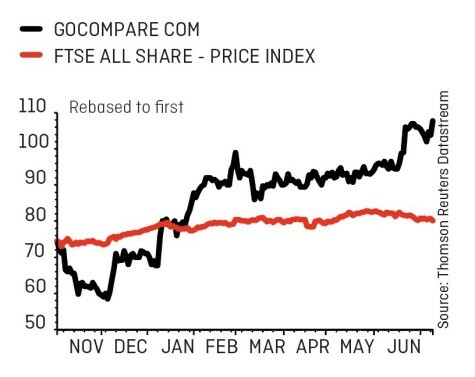 Gocompare now trades on 18.1 times 2017 forecast earnings against Moneysupermarket on 20 times. Comparison sites typically operate across several ‘verticals’ like insurance, utilities and financial products. Gocompare is heavily concentrated in a highly competitive insurance vertical. Its earnings are therefore lower quality than those of Moneysupermarket’s which has a more even spread across different verticals. Investors therefore need to be very confident in its growth potential in order to continue holding the shares. Revenue in the first six months of the year actually came in south of expectations, up just 4% year-on-year at £75.8m and short of the high single digit growth guidance for 2017 as a whole. This reflected reduced marketing expenditure, although that had positive implications for profitability with operating profit up 22% year-on-year. In response Canaccord Genuity has upped its 2017 earnings per share forecast by 10% to 6.4p. The company is moving beyond its core focus. In June, it acquired a minority stake in digital mortgage robo adviser Mortgage Gym. The first half numbers will be published in full on 1 August. ahead of the interim results as the shares now look fully valued. Sell at 110p.